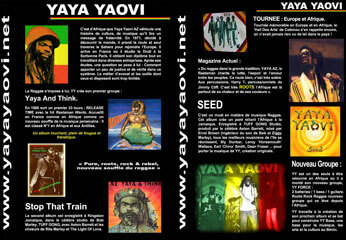 It’s from Africa that Yaya Yaovi AZ conveys a story of culture, of music; from there he draws a message of fraternity. In 1971 he decided to discover the world, he hit the road and alone he crossed the Sahara in order to rejoin Europe. He arrived in France where he studied law at Paris 2 then at Paris1, he obtained his diploma in law from these universities while working at the same time in various companies. After his studies he was confronted with a question: how to bring a little justice and truth to this system. The profession of lawyer and the tools available to them are too limited. 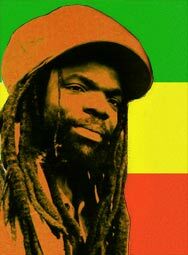 Reggae is the obvious choice to cry out against injustice done to the richest or the poorest. 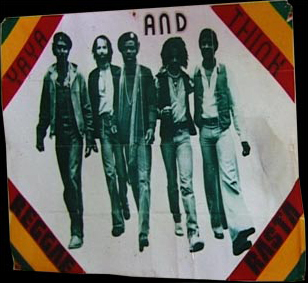 In 1980 a first LP was released: Release Time, it was welcomed in France as in Africa as a new inspiration in Jamaican music. It was n° 1 in the charts in Africa and the West Indies. A touching album full of enthusiasm and frenzy. Music touches men to the very depths of their soul. The second album was recorded at Kingston, Jamaica, in the most well known of studios, Tuff Gong, Bob Marley’s studio. A memorable tour in Europe, in Africa. The Cotonou Arts Hall still remembers it, they’d never seen the likes of such a thing in the country! ROOTS Reggae in the grand tradition. 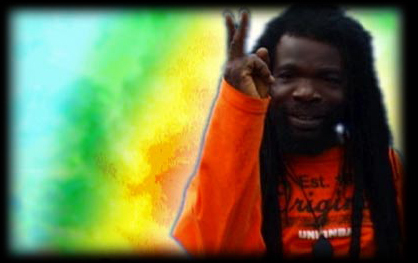 Yaya AZ, the Rastaman sings the struggle, hope and love between nations, it rolls well, it’s very sober. On the percussion Harry T, Jimmy Clift’s percussionist and Alvin Haughton, Rita Marley’s man of whom we must note the participation as well as that of the chorus of Light of Love. It’s very “Roots”, Africa is present everywhere with its warmth and its colours. 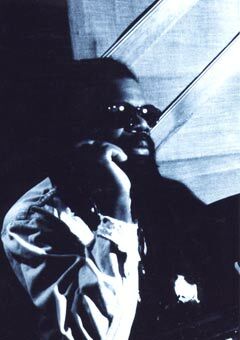 Yaya then allowed himself 7 years of meditation, each member of the group continued the music solo with success, like Jocelyne Berouard Kassav. Yaya set up Plexus, a freight company, with taxis and removal vans. Very quickly his vision of the black diaspora: integration, the defence of the oppressed and his roots made his music indispensible to him. Yaya brings a message which has evolved a lot since the 80’s and the 90’s. It’s with lots of maturity, experience and talent that he comes back with his album “Seed”. This album is a must in the matter of reggae as much for the spiritual side as the musical one. Seed is a bridge linking Africa to Jamaica. The followers of Rastafari Yaya Yaovi and Aston Familyman Barrett, meet together at the Tuff Gong studio, Kingston, and choose the best Rasta musicians. All give their best because they are welcoming their brother Rastaman who has come from Africa, and for the Rasta Dreadlocks of Jamaica it’s an important event. Yaya Yaovi has come back to the roots of Africa where he lives and works on the realisation of his next album and his development projects.